John Millman is the name on everybody’s lips at the 2018 US Open following his surprise victory over legendary Roger Federer in the fourth round of the event. The Australian tennis player, who is coached by former Irish player Louk Sorensen, is looking to break into the top 50 and finally get the recognition the amount of work he has put into his career deserves. Biography, Who Is John Millman? 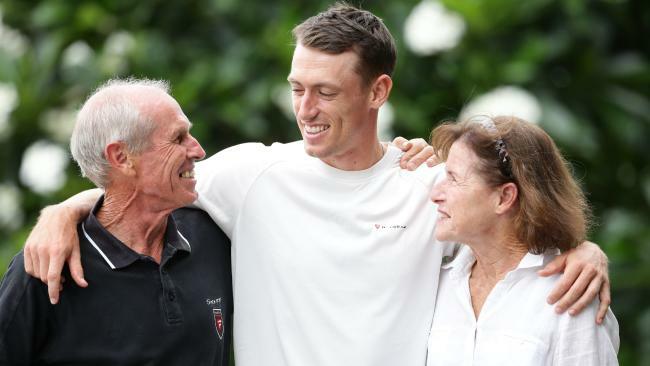 On the 14th of June, 1989, John H. Millman was born as the second-youngest of five children to Ron and Shona Millman in Brisbane, Australia. As a child, Millman loved sports, specifically soccer but however fell in love with tennis and began learning the ropes of the game. He first attended Brisbane Grammar School before enrolling at the Anglican Church Grammar School while he was concurrently taking lessons and mastering how to play tennis. By the time Millman was 15 years of age, he made his ITF junior tournament debut where he put in impressive performances that led to him reaching the quarterfinals. Two years after that, he made his junior Grand Slam debut at the 2006 Australian Open. He went on to win a total of 3 junior tournaments before deciding to pursue a professional tennis career in 2008. In 2009, after winning and competing in a number of F8, F1, and F2 tournaments around the world, John Millman rose in the rankings from somewhere close to 1,000 to about 300. By 2010, he earned a wildcard entry into the 2011 Brisbane International main draw but however lost his first game to fellow Aussie Matt Ebden. Millman was determined to prove his worth so he continued competing relentlessly, sometimes through injury, in tournaments all over the world. It took a while but his first ever ATP win eventually arrived at the 2013 Brisbane International against Tatsuma Ito. After announcing that he intended to make a top 100 rank by the end of the year in 2013, John Millman injured himself in the build-up to that year’s French Open. He subsequently took a nine-month break from playing tennis competitively before returning in February 2014 when he had fallen to the rank of 1193. Millman went straight back into the thick of things and after performing in a few tournaments in a couple of weeks, he rose up to 285. In 2015, he secured his first ever Grand Slam main draw entry via qualifying at Wimbledon and made it to the second round. John Millman for the first time in his career broke into the top 100, ending the year ranked 92. The following year, he was able to reach the third round of a Grand Slam for the first time in his career. He did it twice; at the Australian Open and at Wimbledon before rising to number 84 by the end of the year. Following a few months out of the game due to injury, John Millman dropped out of the top 100 but was able to re-enter the list in 2018 and make it all the way to the top 50. John Millman has publicly stated that he takes joy in keeping his private life away and distinct from his life as a tennis player. He said so when talking about social media trolling and how he might not have any social media accounts if it was not a necessity for sponsors and a way to reach out to fans because of the incessant abuse he and even other family members and friends receive. With that, you can understand why the details about his family are not quite known to the public unless the player chooses to reveal them as he did when talking about his father, Ron, who has dubbed himself “The Fox” but was still able to somehow get lost in London when he came to watch his son play at Wimbledon. His mother also flies out from time to time to watch her son play, as does his girlfriend and siblings because he is traveling for about 10-and-a-half months a year. John Millman is taller than the average man with a height of 6 feet 0 inches (‎1.83 m). He weighs 79 kg (174 pounds) with his body measurements being chest – 40, waist – 32, and hips – 35. His biceps size is 15.5 inches.